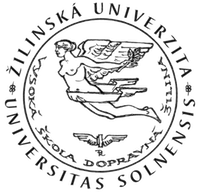 - Železničná spoločnosť Slovensko, a. s. (ZSSK). The aim of the tenth year of the conference is to extend of of the traditional and innovative theoretical and practical knowledge in two fields – the operational and the technical issues as well as management and marketing in application of the conditions of railway transport. Thematic focus emphasizes the need to create a single, interoperable and harmonized European railway area, which creates the growth assumptions of competitiveness of the railway transport system. Its creation is supported by innovation as well cooperation in research. The conference creates continuity to the previous years also creates a platform for sharing knowledge of the implementation of the EU Operational Program Transport. The conference Horizons of Railway Transport covers the issue of intermodal transport in response to the proceedings of the conference EUROKOMBI - INTERMODAL.